Star Gazing FUN! GLOW in the dark constellation bandanas! Activity for Families, Scouts. Learn to read the night sky in a different way! 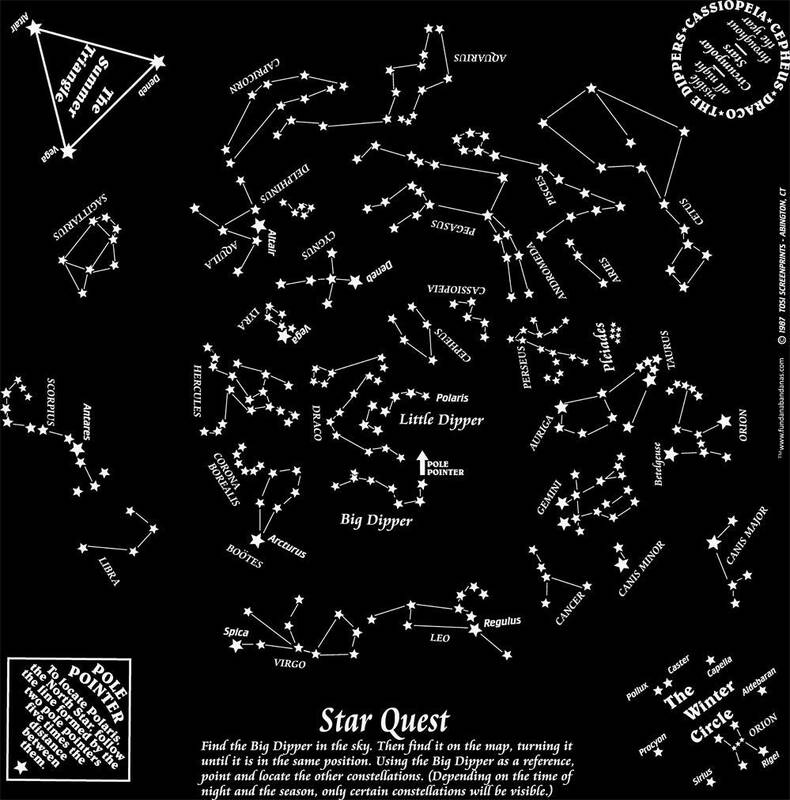 Our glow in the dark Star Quest constellation Fundana is a fun, unique and easy way to read the night sky. It features 33 of the most commonly known constellations. The Star Quests are printed in the USA on made in USA black 100% cotton bandanas. The design won't get destroyed if it gets wet, it's washable, wearable, easy to carry and is reusable. Kids, families, scouts make discoveries each time you look in the sky! A simple way to introduce kids to astronomy. The bandana measures 22 inches all the way around. A unique way to learn or to teach kids and adults to read the night sky. Perfect for camping, backyards, star parties, scouts and more! Want a logo on the Star Quest? Minimums apply. We do give a discount to scouts and teachers please e-mail us at fundanas11 [!at] gmail.com for more information. Good product. It was 4 days late though.